We both really love Sundays. It’s a great time to work on a joint project, or catch up on things put aside earlier in the week. My sister and I trade off hosting the family meal and today is her turn. Therefore, we’re free to spend most of the day doing what we choose. We might even head to a favorite trail instead of tackling chores. The sun is rising through the big fir trees, we can hear the hummingbirds chirping at the feeders, and our white Golden Retriever, McKinley is napping now, after waking us up promptly at 6:00 AM. Our mugs are filled with hot coffee and we’re enjoying a relaxing morning. Our parents are still sleeping and there is little noise coming from elsewhere. My sister and her husband live the separate, and private, daylight level of our house. Mom and Dad live in a wing of the house on the upper level with my husband and me. Our plans to build them a separate ADU (accessory dwelling unit) were can canceled due to health requirements for dad. We’ve reconfigured things to ensure more privacy for us. Living in a Multigenerational home requires a lot of open dialog and patience with one another. Misunderstandings, feelings of resentment, and differences in personalities can create tension. Family issues from long ago tend to crop up again with a vengeance. Especially those issues where healing and growth are still needed. In our opinion, it’s all worth the effort. 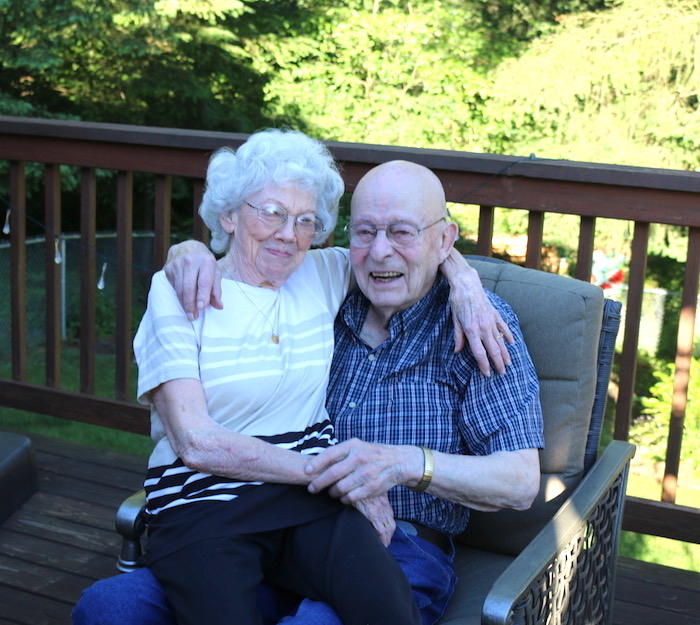 The perks far outweigh the struggles and we can’t imagine mom and dad in a nursing home. Naturally, that may be the best option for other families, and we understand. There’s no right or wrong, figuring out what’s the best for your own particular situation is personal business. This works for us, and we know this lifestyle has brought us all closer in the last two years. The ability to handle the health issues of aging parents is just one of the reasons the Multi-generational home is gaining popularity in our country. Financial benefits, emotional support, and social enjoyment are also big factors listed my many of our clients. It really helps us understand their needs since we too live this lifestyle. We specialize in selling homes, and multigenerational homes, on acreage in Clark County, WA. Having Nature As Neighbors and elbow room for the soul soothes emotions and offers relaxation from a busy life, and a chaotic world. If you’re interested in learning more about the benefits of a multi-generational lifestyle, contact us today.